A gutter system is comprised of gutters, downspouts and elbows that work together to collect and divert rainwater away from your home. Gutters are long, trough-like structures that surround the edge of your roof. 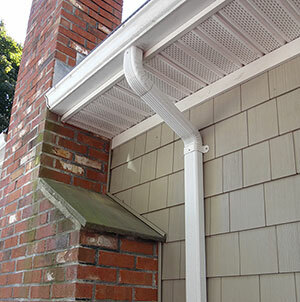 Rainwater enters a gutter and travels down the side of your house through a downspout. Elbows are used to maneuver the flow of water through angled areas of a house, such as eaves or overhangs. 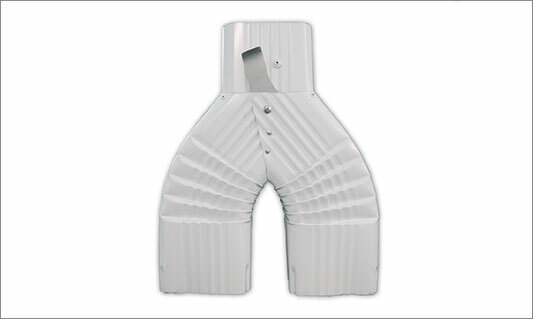 They’re also placed at the bottom of a downspout to disperse rainwater onto areas like driveways. 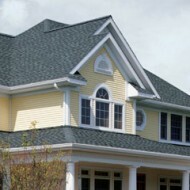 Gutter systems are an important part of maintaining a healthy home. By moving water away from a house, they protect foundations and prevent basement flooding, soil erosion, and the wearing down of painted or stained surfaces. Rainwater can also be collected through gutter systems and used for gardening or other purposes. 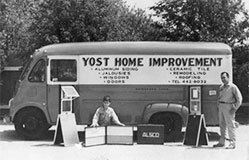 Yost’s gutters, downspouts and elbows come in a range of colors and are custom fit to meet the specifications of your home. In fact, we manufacture them ourselves to ensure our products meet the highest level of craftsmanship. Interested in seeing our elbow machine in action? Click here! Waterloov’s two rows of alternating slats collect rainwater while preventing leaves and other large debris from entering gutters. In the winter, it keeps ice from falling inside, which can potentially build up and cause gutters to pull away from your house. 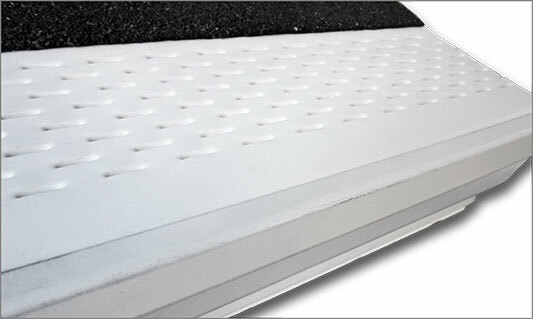 Waterloov can be installed on existing or new gutters and on all types of roofing with any angle of pitch. No nails, glue or fasteners of any kind are ever used that could leak or damage your roofing. It comes with a lifetime performance warranty. 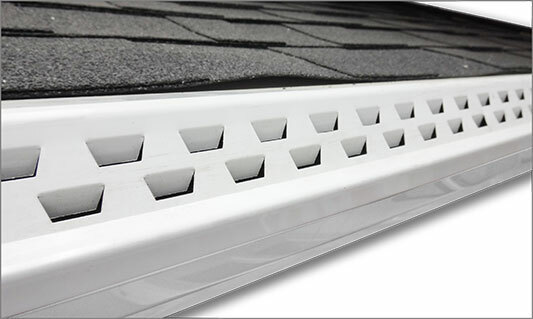 Leaf Shelter is a low profile gutter protection system that can add years to your gutters. It is barely visible from the ground, yet can handle the heaviest of rainfalls, pulling in up to 28.4 inches of rain per hour. 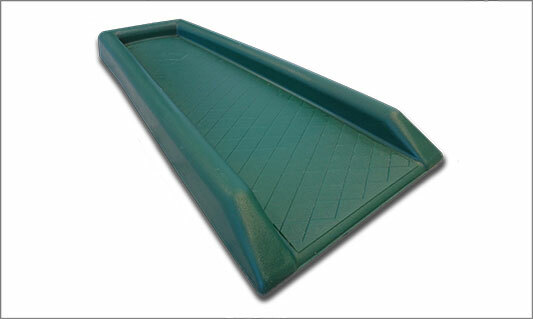 Leaf Shelter installs over existing 5″ or 6″ gutters and can be used on any roof pitch, from almost vertical to flat. It slides under your shingles and requires no penetration through to the roof. Leaf Shelter comes with a 20 year transferable product warranty. The Drop-In Gutter Screen is a simple yet effective option for preventing leaf and debris buildup. 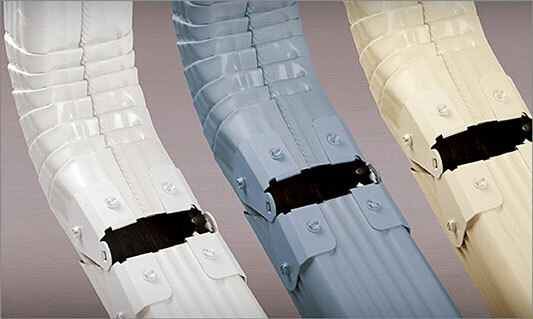 The reinforced front aluminum edge adds additional strength while the screen’s unique “C” clip locks allows it to lock into the face of gutter. 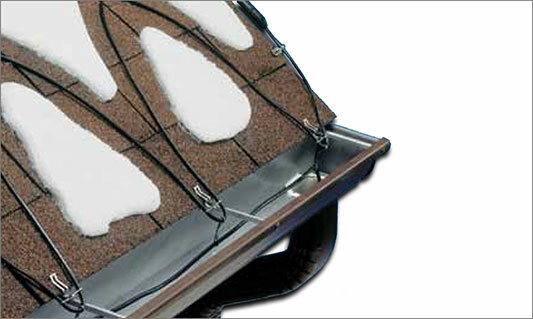 It can also be easily installed underneath shingles. 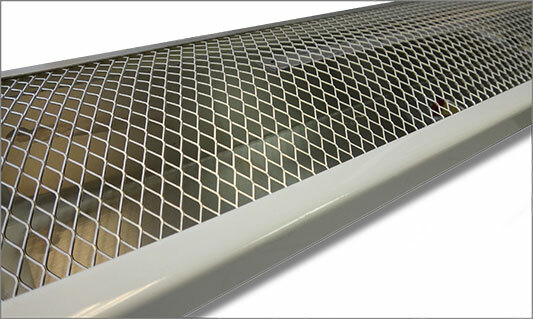 The Drop-In Gutter Guard is not warranted against ice, snow or debris damage. Preserve precious rainwater to use for gardening, cleaning or other purposes. Our rain barrel diverter features a lever that allows the output of water to be diverted to either ground level or into a rain barrel or other collection device. If your downspout extends into your yard or driveway, it can be difficult to maneuver around it during everyday tasks like landscaping and mowing. Zip Hinge provides an easy and convenient solution for lifting and moving your downspout out of the way, and then returning it to its original position. Prevent costly ice damage with de-icing cables, which preserve the functionality of a roof by promoting the free flow of water through gutters and downspouts. De-icing cables utilize heat wire to stop the formation of ice dams, caused by snow and ice repeatedly freezing and thawing on a roof. Ice dams are dangerous because they allow ice to force itself between the shingles, which can lead to damaging roof leaks. Splashblocks are placed at the base of a downspout to help control the flow of water. By directing water away from your house, splashblocks protect your foundation from leakage and cracks and also prevent the erosion of your lawn and garden.